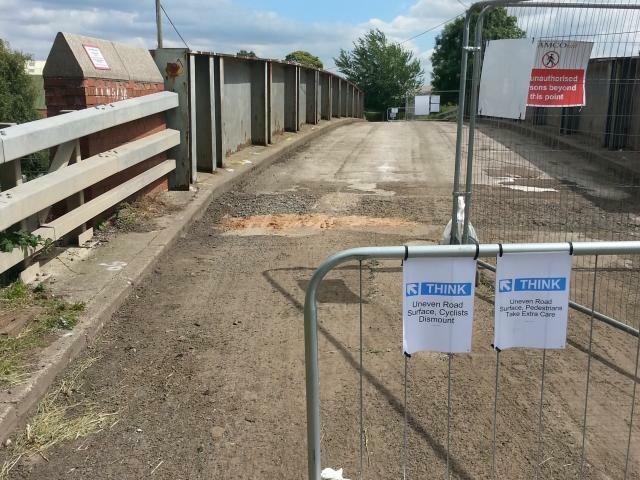 The bridge over the East Coast mainline railway just outside Shipton village near York (between map mile-markers 101 and 102) has now been closed to ALL users for repair works and is likely to remain closed until late October. Cyclists and pedestrians, have little alternative but to follow the diversion which involves cycling or walking, along the busy A19 for approx 1.5 miles. Do take extreme care. To return to the route, turn right down Station Road, just after the Dawnay Arms in Shipton village and then left just before the closed bridge..